Dontnod’s standalone prelude episode to Life is Strange 2 will leave you hungry for whatever’s next in this wonderful series. The term “interactive storytelling” gets thrown around a lot in today’s day and age, but that really is the best way to describe The Awesome Adventures of Captain Spirit. 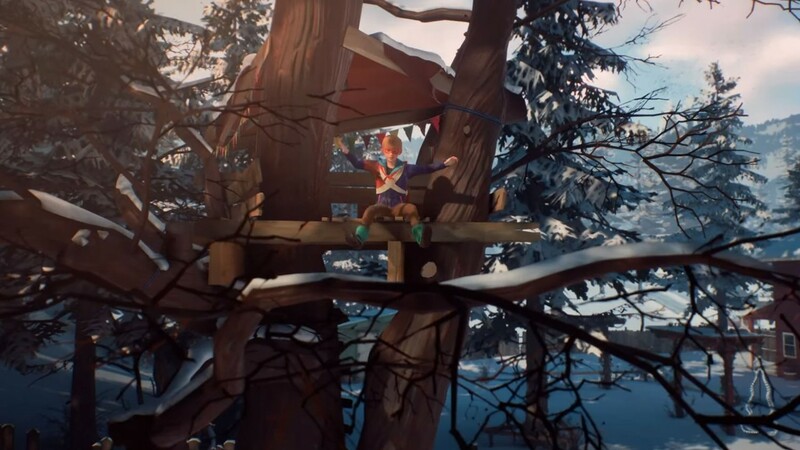 Set in the same universe as the incredible Life is Strange, Captain Spirit acts as a prelude to the upcoming Life is Strange 2, and it goes about its job in a very understated yet extremely effective manner. The entire episode is set within the space of a single, run-down house and the yard that encloses it, and players spend much of the time walking around and interacting with things they see with the most cursory of inputs. In that respect, it’s hard even to call Captain Spirit a game. It’s physical setting acts as a sort of three dimensional, interactive picture frame, where you are free to move about and discover bits and pieces of the story at your own pace and in the order that you please. 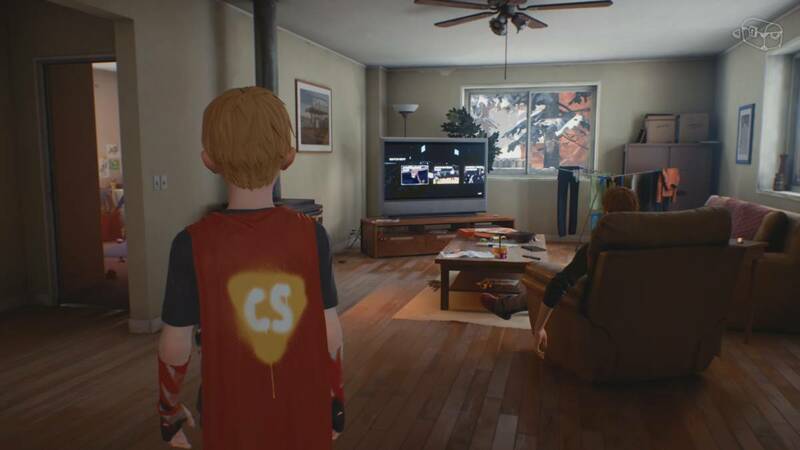 And while the prospect of simply walking around a single location for two hours that are interspersed with none of the so-called “set pieces” that dominate so much of video game culture might seem, to put it simply, boring at first, Captain Spirit reels players in with surprising grace through the sheer quality of its writing and character development. "Captain Spirit reels players in with surprising grace through the sheer quality of its writing and character development." Just as Life is Strange’s chief strength could be found in its starring duo of Max and Chloe, so too do the two main (and for the most part, only) characters of Captain Spirit, Chris, a young and endearingly naive boy, and his father Charles, steal the show here. The two of them are reeling from the recent loss of a loved one, Chris’ mother, Charles’ wife, who died in a car accident not too long ago, and the bulk of the game is centred on dealing with how both of them are coping with this devastating loss. Charles usually ends up looking for comfort and a break from the grief at the bottom of a bottle, while Chris seeks to escape from reality through his boyish imagined adventures and make-believe games. It would have been extremely easy for Captain Spirit to take the basic framework of these two characters and turn them into all-too-common cliches, but the game portrays them with surprising maturity and troubling complexity. Charles should, by all means, be a despicable character- he loses his temper too quickly; his alcoholism is extremely damaging not just to him, but to his son as well; he can also be abusive, both physically and verbally; while he also snaps at his son all too often. On paper, he is the definition of a deadbeat dad, but Captain Spirit adds layers of humanity on top of those flaws to make him more than just a character who exists only to be hated by the player. 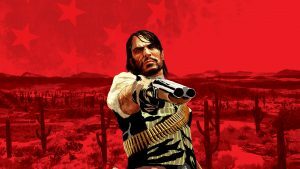 As you dig deeper into the game and what it has to offer, you see some of his playful interactions with his son, or interactions where he is visibly trying to be a better father to Chris, or learn of things he is planning to do for him, or the struggles he himself has been facing and been coping with. Captain Spirit also never beats you over the head with any of this stuff, be it positive or negative. Charles’ backstory isn’t told through exposition dumps or monologues, but can be discovered by players if they spend some extra time to look for things like letter or pictures in the environment. Similarly, the game doesn’t go all out and depict him as a father who physically beats his son, but conveys this through a short interaction between the two where Charles sheepishly asks Chris if anyone’s said anything about the bruises on the boy’s arm. And in the same vein, Captain Spirit doesn’t resort to Chris having inner thoughts about how his father has anger issues, but conveys the issues of his uneven temper through quick and organic interactions. Chris is also a fascinating character. 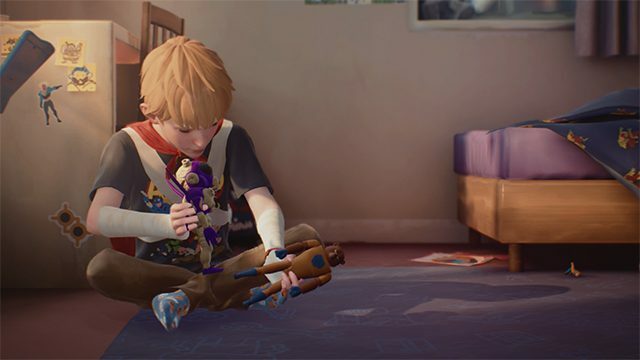 The little boy adopts the playful persona of a superhero called Captain Spirit, and while this serves to strengthen both his naive and childish character and add to the game’s overall tone, it also works to give the player a window into Chris’ mind. Captain Spirit is, on several occasions, a way for players to interact with what would otherwise be mundane activities within the game in charmingly interesting ways. 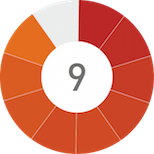 Activities such as turning on a faulty water heater or throwing beer cans into the trash or heating up a bit of mac and cheese are given a new flavour as Chris uses his “powers” to accomplish these tasks. But Captain Spirit is, after all is said and done, an escape for a little boy who is trying to cope with the loss of his mother, while also dealing with a father who isn’t going to win any Dad of the Year awards anytime soon. "It would have been extremely easy for Captain Spirit to take the basic framework of these two characters and turn them into all-too-common cliches, but the game portrays them with surprising maturity and troubling complexity." There’s a sense of subtlety that permeates the entire experience, and Captain Spirit has to be commended for telling its story and the stories of its two characters incredibly well, when it easily could have done so in a very heavy-handed and unsatisfactory manner. What also helps is that the dialogue is incredibly well written. For all its accomplishments, one of the few things that occasionally let Life is Strange down was its dialogue, which made use of teenage slangs that it thought were commonly used by real teens, but ended up sounding, at times, awkward and forced. That isn’t an issue in The Awesome Adventures of Captain Spirit. The interactions between the two characters are very well written, and sound natural and organic. The solid voice acting for both Charles and Chris (especially during times when Chris is using different voices as he plays with his toys) also helps. Additionally, although you wouldn’t expect it to be so – being just a single two hour long episode whose primary purpose is, above all else, to set the stage for Life is Strange 2 – Captain Spirit is a surprisingly meaty experience. Players can, of course, rush through the game if they want to experience only the “critical path”, so to speak – and really, given the game’s unusual and thoughtful pacing, I can see how many people might want to do that – but Captain Spirit has plenty of content on offer. There are plenty of optional activities to complete, additional tidbits and story-related things to be found in the game, and interesting things to check out in Chris’ house, and while all of these almost always take the form of simple puzzles or cursory button presses that fans of Life is Strange would be quite familiar with, I found these to be thoroughly entertaining. 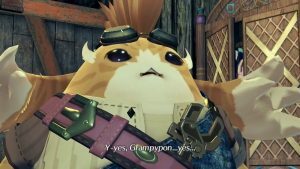 With every extra bit of optional content you partake in, you uncover something new in the story- a bit of backstory, a small vignette of character development, a well-written, heart-warming interaction between Chris and Charles, or the recounting of old memories that lend extra depth to both these characters. This is also a surprisingly self-contained experience, set within very firm boundaries, and requiring no investment outside of them from the player whatsoever. Sure, its primary purpose is to lay down a foundation for the events of the upcoming sequel, but Captain Spirit doesn’t do so by ending with a frustrating cliffhanger. Instead, it cleverly hints at things that are yet to come, but more importantly, it makes us care about these two characters, ensuring that we’ll want to come back for more of them once Life is Strange 2 rolls around. A special mention also needs to be made for the game’s excellent music. Just like Life is Strange itself, The Awesome Adventures of Captain Spirit has an excellent soundtrack, one that not only consists of a number of great songs, but also one that knows exactly which particular song needs to kick in at what moment. Just as it was the case with the original game, many of Captain Spirit’s emotional moments are made doubly impactful through the game’s excellent use of its music. The engine has also received a few updates, which means the visuals look a little bit sharper than they did in the first game, with very little technical hiccups to speak of- though in my time with the game, I did often notice instances when the lip syncing was a bit off. 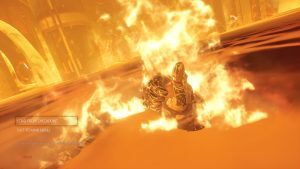 "Although you wouldn’t expect it to be so – being just a single two hour long episode who primary purpose is, above all else, to set the stage for Life is Strange 2 – Captain Spirit is a surprisingly meaty experience." I find it very easy to recommend The Awesome Adventures of Captain Spirit. It is an emotional ride that will make you care about both its characters in a very short space of time, thanks to clever writing and excellent character development, and packs a lot of great storytelling into its short runtime. 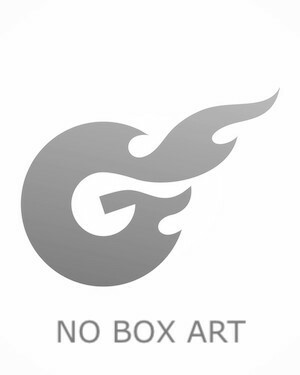 The fact that it’s completely free only serves to make it that much easier to recommend. Up until now, I was fairly excited about Life is Strange 2 and what it might have in store for us – Dontnod have done enough to warrant at least that much from its fans – but after Captain Spirit, I simply cannot wait to check in with Chris and Charles again in a few months’ time. Complex and layered characters that are developed subtly and thoughtfully; Great writing all around; Excellent music; Surprisingly packed with content; It's free. The Awesome Adventures of Captain Spirit is an impressive accomplishment, which is made even more impressive when you consider the fact that it does everything that it does in the space of just a couple of hours. On top of that, the fact that it's completely free makes it a ridiculously easy game to recommend.